In-depth video instruction for 12 songs, along with notation and tab. Steve James, one of today's leading roots-music performers, recording artists, and teachers, presents a treasure trove of traditional American guitar styles in this unique series. Guitarists will learn fingerpicking and slide techniques not through dry exercises but by playing from James' own repertoire and from such masters as Furry Lewis, Blind Willie McTell, Sam McGee, and Mance Lipscomb. Drawing on his extensive research and first-hand experience with these guitar pioneers, James tells the stories behind the songs, too. In addition to video, this series includes PDF downloads with supplementary material - music notation, TAB, and additional instruction. This is yours to keep! We recommend opening in a new window for side-by-side viewing with the video or printing out a hard copy. 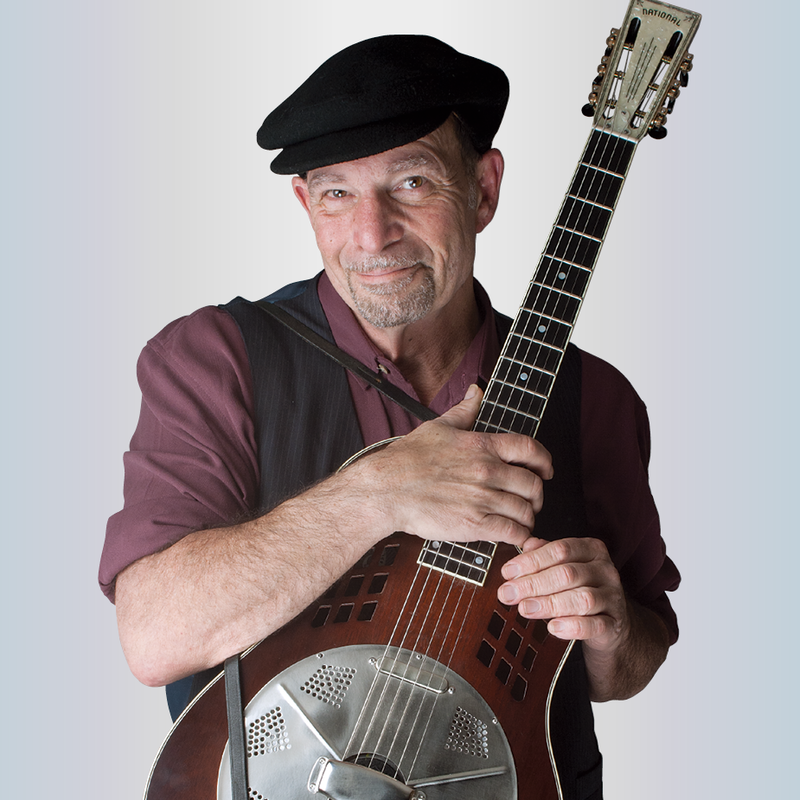 Steve James is a blues musician, a notable songwriter (Talco Girl, Farewell The Roses, Sonny Payne, Birmingham Steel to name a few), one of the best modern bottleneck slide players, a storyteller and a compendium of interesting facts. In the world of contemporary acoustic and roots music, he’s earned his reputation with decades of tireless international touring, a stack of solo recordings, a funny, kinetic stage presence and an unmistakable style of playing and singing. He’s shared his creative instrumental approach on guitar, slide guitar and mandolin with books, print lessons, DVDs and online tutorials for Acoustic Guitar and Homespun. His own recordings engage with other top notch musicians- Cindy Cashdollar, the Bad Livers, Alvin Youngblood Hart, Del Rey and a host of others. As a sideman, both on stage and on record, he’s played with Howard Armstrong, Bo Diddley, John Hammond, Maria Muldaur, Furry Lewis and James McMurtry…he often gets a shout-out to “get on up here” from the likes of Tommy Emmanuel, Hot Tuna or Chip Taylor. He has appeared on “A Prairie Home Companion”, “Austin City Limits Live”, “NPR Morning Edition” and many other syndicated broadcasts worldwide.